When cries go unheeded and help is beyond reach, Pawan Kumar Chaturvedi comes to the rescue. A young mute girl from Pakistan loses herself in India with no way to head back. A devoted man with a magnanimous spirit undertakes the task to get her back to her motherland and unite her with her family. I'm not a Salman Khan fan, but I really liked Bajrangi Bhaijaan! 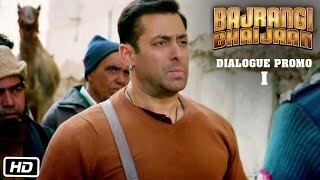 With a very simple plot which has already been revealed in the intense trailer, the movie revolves around how Pavan Kumar Chauturvedi (Salman) aka Bajrangi comes across a little Pakistani girl, whom he names Munni! Who would have thought that the raunchy item song name from Salman's movie Dabangg could be the name of Bollywood's most exceptional child artist (Harshaali Malhotra) who plays the character of a girl who gets lost at India-Pakistan border! 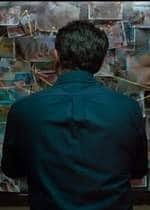 Very intelligently weaved into a predictable yet intriguing, BB is the story of a man who pledges to make sure that a little Pakistani girl reaches home safely. 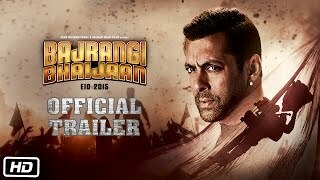 Bajrangi Bhaijaan carefully reveals the current and never-ending crisis between India and Pakistan. 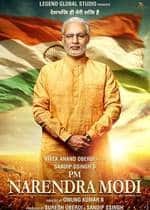 What I loved about the movie is the detailing with which director Kabir Khan has successfully painted a sensitive picture of Hindu-Muslim conflict and related apprehensions in the Indian society! 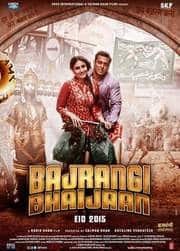 From vegetarian Hindus being intolerant about non-vegetarian people, the strange logic of not renting homes to Muslims and entering religious places when you don't belong to that sect, Bajrangi Bhaijaan is a commendable effort on the part of the entire crew to have attempted such a insightful topic! When Nawaz says, "Kya Pakistan mein bhi Bajrangi madad karenge?" you will realize how insignificant religious and cultural differences become when your intentions are good, especially in times of crisis! Cricket lovers will have a blast in the movie, and that signifies that the writers of this film aimed for an out and out entertaining masala blockbuster! 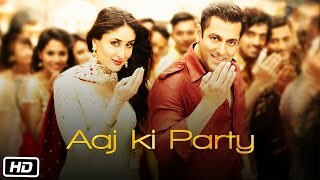 Quite contrary to popular media reports, Kareena Kapoor Khan does have a proper role in the film than we all supposed. 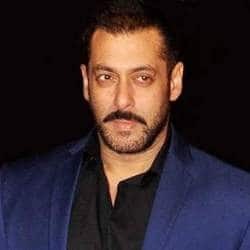 You will NOT see too much of Salman Khan in the movie! Probably because the little girl, Harshaali Malhotra, who plays the role of Shahida, steals the show! In many years, Bollywood has not seen such a convincing child artist, and might not see someone as great as her again! The little girl lights up every frame of the movie, and mind it, because she doesn't have a single dialogue, no monologue, nothing throughout the movie! Nawazuddin Siddiqui is God's gift to the film industry! His unmatched comic timing including serious scenes are a complete delight to watch! 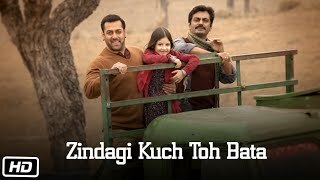 For me the stars of the Bajrangi Bhaijaan are Harshaali, Nawaz and Salman (in that order). The film could have done without its songs though! 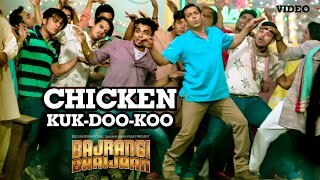 Especially the Chicken song was just too much to handle, but I can't deny that it would have been a big flop song had Salman and Kareena not been there! BB has its dramatic moments, which I think was the demand of the script! Om Puri's guest appearance gives one very important message to the audience for which you'll have to watch the movie! The dialogues by Kausar Munir and Kabir Khan are OUTSTANDING! Audience will also realize that both India and Pakistan are picturesque countries with breath-taking views! You can't fathom the fact that a little girl like Harshaali can give such a splendid performance! She definitely deserves a special award this year! Nawaz's fans SHOULD watch BB for him! 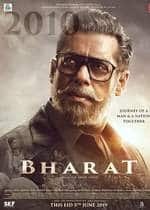 Because Salman Khan's crazy fan followers will watch the movie, I strongly recommend that all the people who don't like this Khan and his movies, should not miss watching one of the most entertaining movies of the year! Don't be surprised if Salman Khan breaks his blockbuster records again! PS: Don't miss BB this weekend and be ready with your favourite Chicken dish to avoid disappointment after the movie! 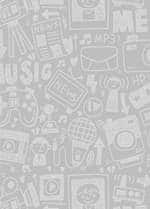 Thank me later for this suggestion!